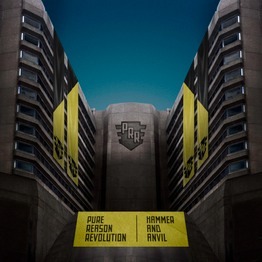 Pure Reason Revolution have recently completed mastering on their new album ‘Hammer And Anvil’ with John Webber @ Blue Pro Mastering. The album is scheduled for release through Superball Music / EMI and has already begun to receive some favourable reviews. “Hammer and Anvil” is co-produced by Jon Courtney & Tom Bellamy (Cooper Temple Clause, Losers, White Belt Yellow Tag).